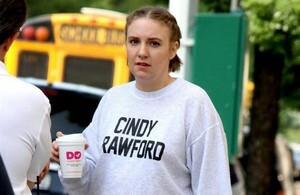 Lena Dunham suffers from fibromyalgia. The 32-year-old actress took to Instagram on Saturday (06.10.18) to reveal she suffers with the chronic condition which causes pain all over the body as well as fatigue and body stiffness, and spoke about the links the illness has with "sexual trauma". She wrote: "This is a post about chronic pain. I have it. I bet a lot of you do too. Some of us talk about it. Others are afraid to, as it could cost them their jobs or their relationships or their sense of control in a chaotic world. In this way it's very analogous to sexual trauma. There is also (as @ladygaga so wisely shared this week) a proven connection between chronic pain and trauma."